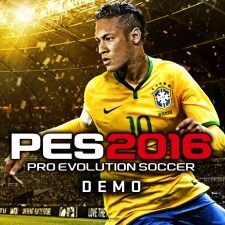 PES 2016 demo for pc download is released the same day as pes 2016 full game. You will be able to test the game before you buy it, but you will (possibly) lose the pes 2016 preorder bonus (scarf and content). Pes 2016 pc demo will feature seven teams to play: Brazil, France, Juventus, Roma, Bayern Munich, Corinthians and Palmeiras. * more news and links as soon as they arrive. Sign up on our list and we will send you a demo as soon as it came out. Do you need original PES 2016? QPES in cooperation with cdkey.com provide cheapest PES 2016 for all our users. You can order original steam key for only $30.